Construction will soon be starting on the creek below the Meadow Glen subdivision. This project is being funded by the Kentucky Division of Water (KDOW). A grant from the R.C. 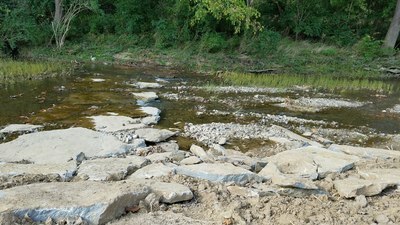 Durr Foundation will improve trails and provide creek crossings. 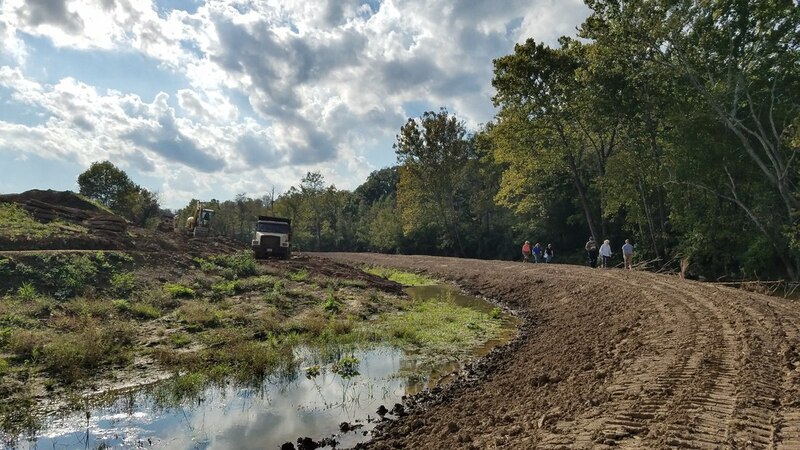 Ultimately, the Wolsing Woods Trails will connect the parking area, wetland, and the Meadow Glen subdivision. Good News! With well-timed seeding, we were able to establish ground cover without the need for erosion mats! That's a significant cost savings that allowed room in the budget for some habitat enhancements to our original design. You see, the wetland is connected to Banklick Creek and will likely be populated by fish carried in during high water. Those fish will keep amphibians, like frogs and salamanders, from colonizing the area. We decided to give these critters their own habitat by adding a wet meadow and three vernal pools at the top of the site, nearest the railroad tracks. These ponds were designed with frogs and salamanders in mind - helping to make sure the Wolsing Woods supports a wide variety of species. We can't say enough wonderful things about our construction contractor, Farris Osborne, of Advanced Enterprises. 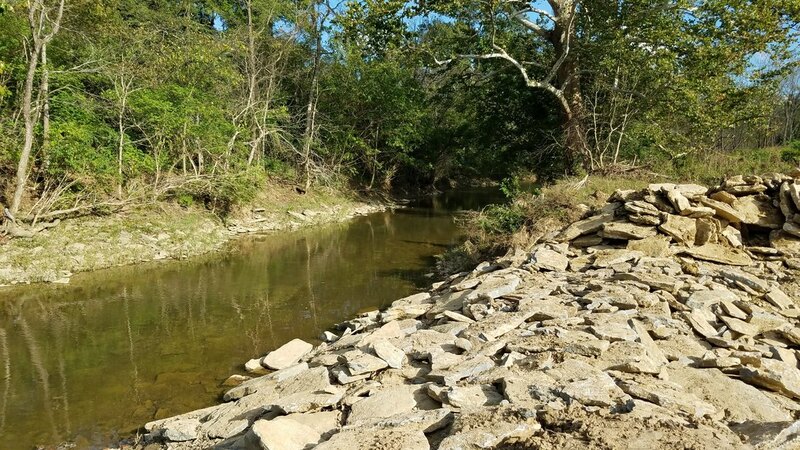 Out of Richmond, KY, Farris was recognized by SD1 for the excellent job in preventing erosion and sediment discharges from the Wolsing Woods Wetland site. Congratulations on a well-deserved award! To view more progress photos, check out our Facebook page. 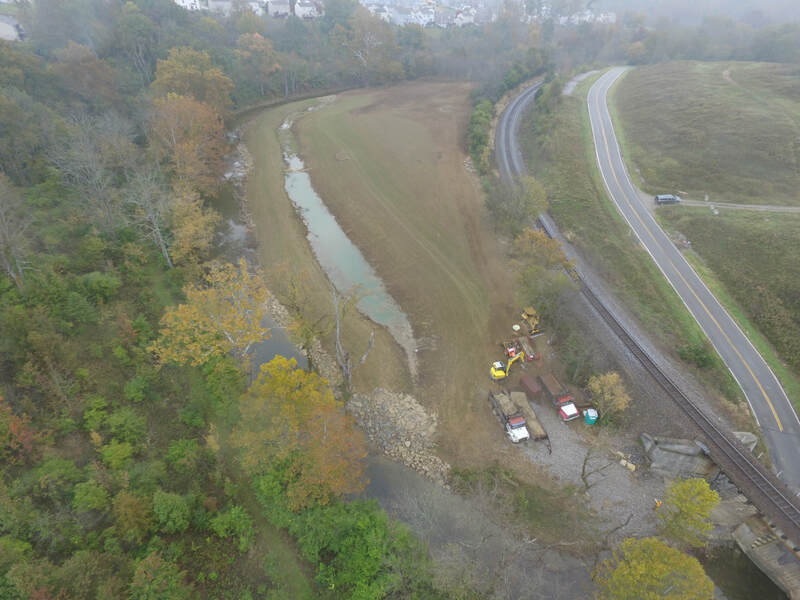 This project includes the construction of a wetland and stabilization of stream banks in order to restore and improve the capacity of the floodplain at the Conservancy’s Wolsing Woods property. This project will install a wetland alongside Banklick Creek, just downstream from the Cody Road crossing. The wetland is designed to reduce downstream erosion in Banklick Creek. 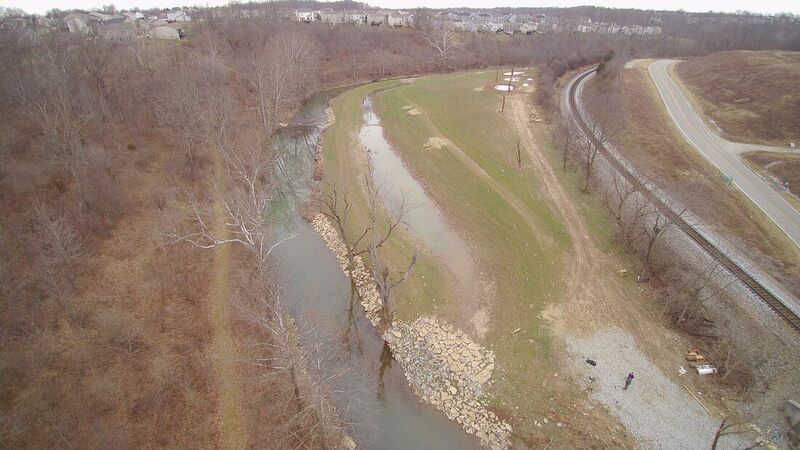 The project will improve water quality, streambank stability, aquatic & wildlife habitat, and floodplain storage. The construction activities will occur entirely within the Kenton Conservancy’s property, and are not anticipated to impact surrounding properties. 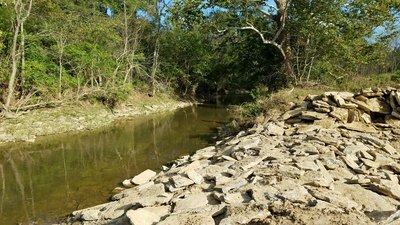 The activities will include site clearing, excavation of the floodplain, streambank stabilization, and the installation of creek crossings. The site will be planted with wetland species, prairie plants, and the hillside will be reforested with a diverse mixture of native trees. Upon completion of this project, the wetland will capture and store floodwater during times of high water. The wetland will be connected to the Wolsing Woods Trails with two creek crossings, one adjacent to the wetland, and the other downstream near the Webster Road trailhead parking. Educational signs will be installed at the wetland, and trail improvements and linkages are planned. For more on the importance of wetlands, check out KYDEP's recent blog post. 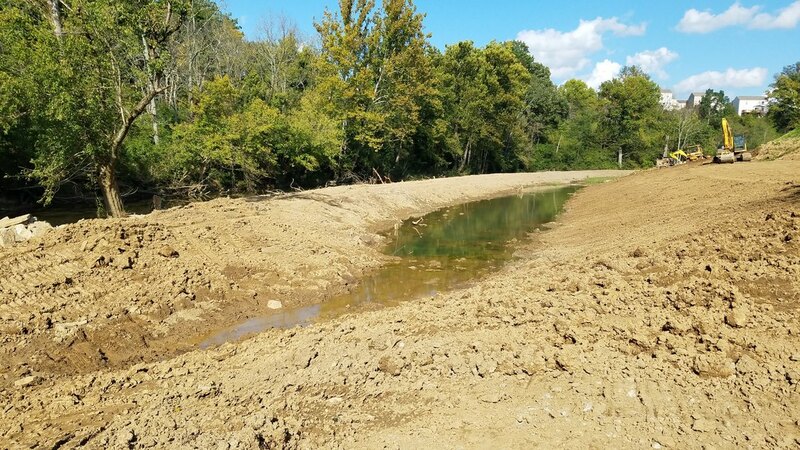 The Banklick Watershed Council was awarded a grant from the Kentucky Division of Water for the construction of the Wolsing Wetland. 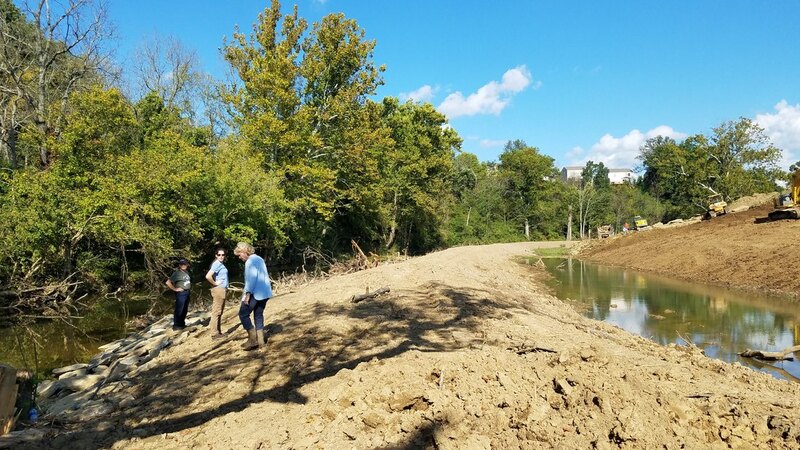 The Banklick Watershed Council has assembled a team of Strand Associates, Inc., Sustainable Streams, Inc., and Advanced Enterprises, Inc. for the design and construction of the project. Site clearing will begin in March 2018, but don’t worry – the whole site will be replanted when we’re done. We expect most of the construction to occur during the summer and wrap up with replanting of the site fall of 2018. The construction activities are not anticipated to impact any surrounding properties. This project was funded by a grant from the U.S. EPA under Section 319(h) of the Clean Water Act through the Kentucky Division of Water.